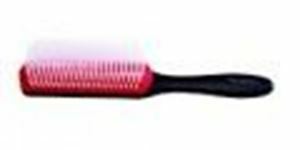 This medium styling brush has seven rows of nylon pins and an anti-static rubber pad for maximum grip. Suitable for all lengths and types of hair. The pins are smooth and round-ended for perfect styling.